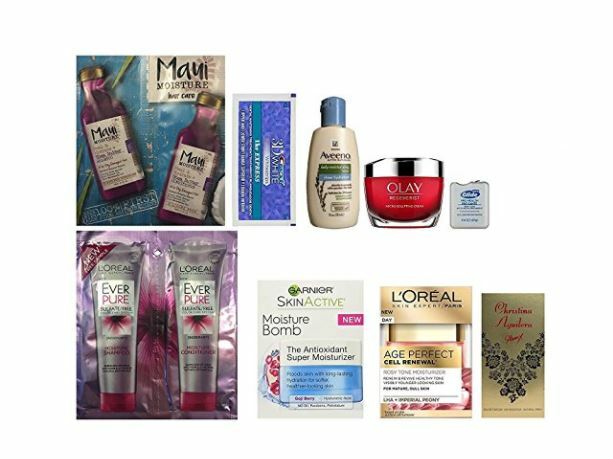 Prime Members can get this Women's Daily Beauty Sample Box for $7.99 plus earn a FREE $7.99 credit for future purchase of select beauty products! -For a limited time, buy this box for $7.99 and receive an equivalent credit toward a future purchase of select products shipped and sold from Amazon.com. See Terms and Conditions below for details. -A week after your product ships, you will receive an email with instructions on how to use your promotional credit. -Limit one promotional credit per customer. Sample box is available for Prime members only. Offer available for a limited time. Items may vary based on availability. -Each box contains 10 or more items from participating brands.